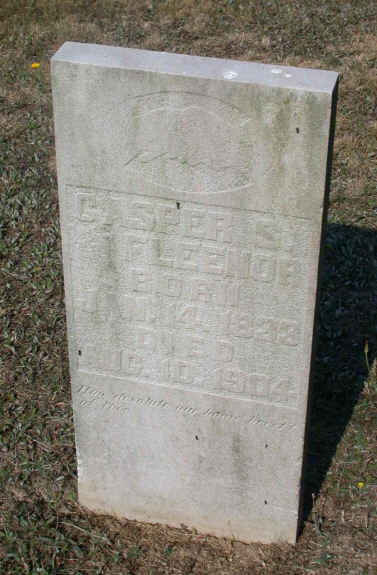 1) Gasper Sampson Fleenor served in the Civil War. He was in Company E of the 63rd Infantry Regiment of the Virginia Cavalry. He enlisted 08 Jun 1862, and fought for the Confederacy (view battle history of 63rd Regiment). He was wounded in the arm on 20 Sep 1863 at Chickamauga, GA, and was hospitalized 31 Oct 1863. He received distinguished service status (view Gasper's muster rolls); news articles refering to Gasper's injuries. 2) We have copies of Sampson's pension application forms.